While most Dominicans supported the decision of the Roosevelt Skerrit administration to establish diplomatic relations with the People's Republic of China in 2004, it is widely felt that the relationship has been conducted under a veil of secrecy. Today we marvel at the vainglorious State House, a world-class Windsor Park Stadium, a new Dominica State College, the rehabilitated West Coast Road and the provision of university scholarships. But after a decade of bilateral relations, we see that the absence of a policy on China that is in our national interest has placed our country at a disadvantage. Doubts still linger about the authenticity of the Memorandum of Understanding (MOU) and whether it was in fact the total package Prime Minister Skerrit negotiated over a period of "19 unbroken hours" in Beijing. Beyond the grants and soft loans we have received from China over the last decade, what is our policy on China? China has a policy on Africa, the Middle East and other regions of the world. As one of the least populated countries in the world, what policy does Dominica have in place to guide and manage the relationship with an economic giant like China with 1.3 billion people ?With a greater influx of Chinese citizens expected in Dominica in the coming decades, have we considered the consequences of demographic changes on our small 70,000 population ? Do we know how many Chinese nationals own Dominican passports? After 10 years of diplomatic relations, little is known in China about Dominica beyond the Chinese government political machinery. Little has been done to increase Dominica's visibility even among a fraction of China's 1.3 billion people through radio, television, the internet and social media. China is the second largest economy in the world. It is the world's largest exporter of goods and the world's largest trading nation. Very little has been done over the last ten years to reach the burgeoning Chinese middle class and what success have we had in attracting a fraction of the millions of Chinese tourists ? The lack of jobs in Dominica remains a major issue despite the many infrastructural projects being funded by China. Unlike the experience of Taiwan, the majority of workers on projects funded by China in Dominica have been Chinese. Chinese business people are now dominating the commercial sector in Roseau at a pace that threatens social stability. Rosie Douglas, who as leader of the Dominica Labour Party and Prime Minister, forged relationships with traditional and non-traditional friends welcomed foreign investment, but with conditions: In 1992 he wrote: "We believe that foreign investment should as far as possible be directed to areas of the economy where local entrepreneurs lack the capital and technological/marketing know-how to handle. Areas of petty trade, restaurants, laundries etc should be the exclusive domain of local entrepreneurs except in very few exceptional cases where a high degree of specialization is required." In Dominica today there is a feeling that the playing field is uneven with suggestions that Chinese business owners are not paying their fair share of tax. Even after ten years, there is suspicion in the public domain about the role played by Grace Tung and David Hsiu in the move to China. The Dominican embassy in China was run by David Hsiu and members of his family, a highly unusual situation in international diplomacy. Mr. Skerrit succumbed to public pressure when he read what he said was the MOU of March 23rd 2004 in Parliament in 2005.But closer inspection of his Address to the Nation on March 29th 2004 to formally announce the switch from Taiwan to China, revealed significant discrepancies between the two documents. The MOU of 2004 speaks of the completion of the second phase of the Dominica Grammar School project. But in his address of March 29th, 2004, Mr. Skerrit said the Chinese had agreed to "the construction of a modern, fully equipped and functional secondary school to be located in the environs of Roseau." By 2003, work had already begun on the construction of the new Dominica Grammar School with funds from the Republic of China (Taiwan). Why then didn't the PM in his address mention the Dominica Grammar School by name? It is obvious that the school referred to in the address by the PM was not the DGS, but possibly an International School for Chinese located at Layou. The MOU made no mention of that new school. The MOU made no provision for the US$15 million Dominica owed the Government of Taiwan at the time of the severance of diplomatic relations prompting the Taiwanese to file a law suit against the Government of Dominica in a United States court. In November last year, a Chinese firm informed the world that it had signed an MOU worth US$300 million with the Government of Dominica. A pattern has developed where Roosevelt Skerrit continues to conduct foreign policy under a veil of secrecy. Parliament and other institutions of our constitutional democracy continue to be sidelined. There can be no doubt now that Dominica is in the grip of an elected dictatorship. 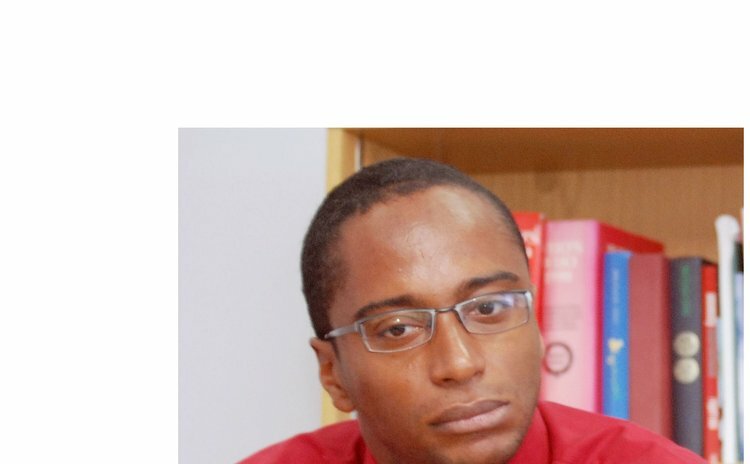 While Prime Minister Skerrit continues to enjoy the plaudits for the 10- year Dominica-China bilateral relationship, it must be recorded in the annals of Dominican history that Rosie Douglas and Renwick Jean Pierre, at a party level, recognized the importance of China since the early 1980s. It is often forgotten that the first China-Dominica Friendship Association was established by Rosie Douglas. In 2005, China's first Ambassador to Dominica, Ye Dabo spoke about Rosie being an "early pioneer" in the Dominica-China relationship. In September, 1984, Rosie Douglas, the International Secretary of the United Dominica Labour Party (UDLP) and Renwick Jean Pierre, Mayor of Portsmouth, visited the People's Republic of China. In a press statement in 1984, he wrote: "Attempts to build relations exclusively with Taiwan as is the case with the Government of the Commonwealth of Dominica is shortsighted, reactionary and not in keeping with current political and economic relations in the world." Their visit to China resulted in a commitment from the Chinese government to construct a US$ $1 million Multi-purpose Municipality Community Complex at Benjamin's Park in Portsmouth. Despite numerous letters from the Portsmouth Town Council to Prime Minister, Eugenia Charles, the gift from China was never accepted. There was also communication on the proposed facility between the Council and the Chinese embassy in Barbados. As we look ahead to another decade of cooperation with China, we need to take our bilateral relations to a higher level, shedding our role as gracious benefactors of Chinese benevolence and engage China in a more mature way as we seek to find our niche in the huge Chinese market. Roosevelt Skerrit's conduct of the relationship in utter secrecy has serious implications for the future. As a country we need to formulate a comprehensive policy on our relationship with China. We must also learn from the Chinese experience in developing countries, especially in Africa. That policy must place much greater emphasis on trade, foreign direct investment, technology transfer and cultural and social exchanges. The policy must also articulate that while Chinese investment is desirable, given our colonial past, safeguards must be put in place to ensure Dominicans do not become second-class citizens in their own country. The views of all Dominicans should be solicited as we seek to fashion a comprehensive policy on China that reflects our needs and priorities in the 21st century.